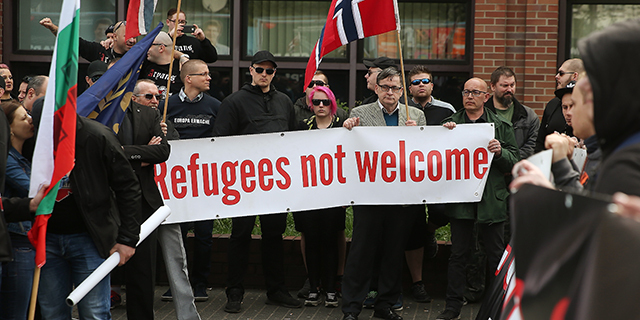 Nationalist and anti-immigrant attitudes in Western Europe have been an issue in a number of recent national elections around the region, particularly after the influx in the past few years of refugees from predominantly Muslim countries. But Western Europeans vary by country when it comes to having positive or negative views about immigrants and religious minorities, according to a Pew Research Center analysis. 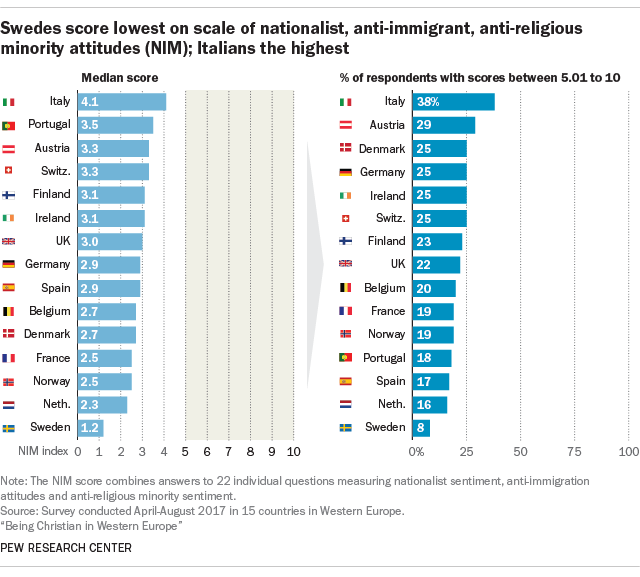 To better examine the prevalence of these attitudes, the Center developed a scale to measure the extent of Nationalist, anti-Immigrant and anti-religious Minority (NIM) sentiment. The NIM scale combines answers to 22 survey questions on a wide range of issues including views on Muslims, Jews and immigrants, as well as immigration policy. Relatively few adults in every country surveyed score above 5 on the scale. But there is considerable variation across countries. In Sweden, just 8% of those surveyed scored higher than 5, the lowest amount in any country, while in Italy, 38% did, the highest share in any country. In most countries, the share scoring 5.01 or higher was between 15% and 25%. For example, in both Norway and France, 19% of respondents scored 5.01 or higher.